The Unity Android Mobile Game Engine has grabbed the attention of all the top notch mobile web developers since the time it has been launched for Android. Unity has grown with nourishing Smartphone uptake to the point and has become the world’s famous mobile game development middleware. There are several chart topping games that are available all through the Google Play Store and iOS App Store. There are wide range of core features which have contributed to the paramount success of the Unity Engine on the mobile devices and this framework is likely to attract more and more number of mobile web developers towards Unity. Unity Android Framework is a major mobile engine which is designed specifically to make it easy to use for small development teams. This framework is the only top notch middleware that is meant for rendering rapid iteration support with on the fly editing features. This framework helps in reducing the development time gradually in this fast paced mobile world. This framework is distinct in providing deployment to the complete range of major current mobile ecosystems such as Blackberry 10, iOS , Windows 8 and most importantly Android. Unity as an Android Framework helps you in designing artistic exquisite details in your game with the Unity’s Audio, Shadow, Light and other special effects. You can add fireworks, bright lightning effects, explosions and fine tuned sound effects with smooth performance so as to develop evocative dynamic games for all platforms. There are so many tools available with the Unity framework that can be harnessed to the max for developing amazing mobile games. Developers can not develop great game plays across variable global platforms with the help of the framework’s efficient multiplatform publishing feature. You can have complete control over the intuitive workflows and quick iterations by making the best use of the Unity’s Tools and its powerful engine so as to develop and deploy the games on screen smoothly. With Unity framework in place you can develop code that will function on different platforms and multiple devices. However for tweaking particular platforms you will have to perform random platform verifications, make use of code preprocessors and put together all the plugins and platform specific code. You can press Play and immediately you will be able to enter into your game, start playing and get a preview of how it will appear after the final build on a particular platform. You can modify the assets, properties, values and other scripts and immediately see the results. You can go through each frame for accurate animation physics & game play verification. The Unity Remote you can just click on the Hit Play to View and test your game directly on the targeted device straight from the Unity Editor. Unity profiler will help you save time, enhance the performance and help you easily find out the bottlenecks within your game. Unity Profiler will help identify those parts of the game which have a significant impact on the performance of your game. As a web developer you can optimize all your assets for any screen size and resolution. You can yank platform specific settings whilst importing the assets for the most excellent quality or compression ratio for your targeted hardware and other formats. You can alter the player settings such as the splash screen, orientation of the game, icons and other build size optimizations devoid of having to make any modifications to the code. 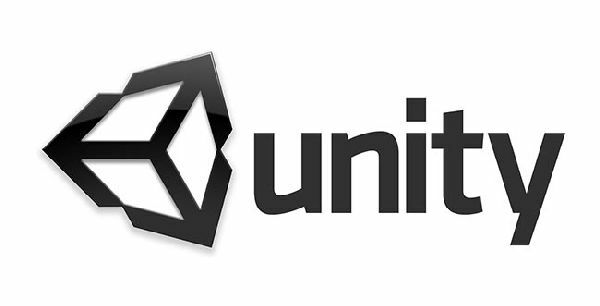 With Unity framework in place you can at all times count on efficient and smooth deployment and development of a game with complete set of amazing graphics and great performance on any device as it evolves support for latest desktop , mobile and console hardware. If you have Unity framework in place you can be assured of the fact that the game will work on anything when you deploy it. With Unity’s light mapping and powerful rendering options one can build giant scenes that have shadows, tons of lights and other mind blowing special effects. The powerful rendering mechanism of this framework keeps the performance smooth on any kind of screen size and resolution. The shader emulation with Unity helps in developing the game with WYSIWYG prototyping. Unity makes it easy for the developer to publish a build for any platform in no time. When the developer is ready to publish he or she can choose a platform and after that click on the Build Button, Save the Game and Unity will easily build it for you. Isn’t it simple? Unity has Mecanim which is a highly flexible and strong animation system with the help of which you can bring all the non human and human characters to life with natural and fluid motion. The animation system of Unity is a total all in one solution for all types of animation in games. Thus with Unity in place you can free yourself from spending extra money on integrating third party middleware for animations as the animation system of Unity is already integrated with and optimized to function with the Unity Engine. You can as well animate huge armies by retargeting in Mecanim Animation System. The Stability and Power of Unity together with novel optimizations for instance Skinned Mesh Instancing will make sure that you achieve smooth and efficient runtime performance. Animate even vast armies with retargeting in Mecanim. Unity’s stability and power, combined with new optimizations, such as skinned mesh instancing, ensure smooth runtime performance. If you are looking for a gaming Android Framework then Unity Engine is a must have glance framework for you with rapid innovations constantly evolving in.